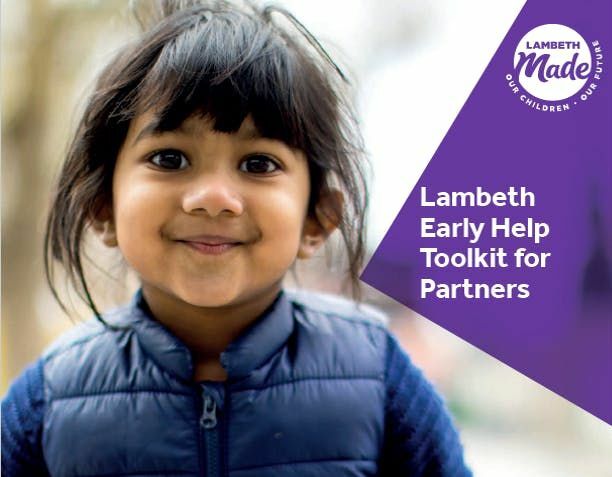 Lambeth’s Early Help Service would like to invite you to our Early Help Toolkit and Supporting Vulnerable Families Training on the 11th of February 2019 from 10:00-16:30 pm at Evolve Housing + Support, Stockwell, SW9 9ES. A ‘having difficult conversations’ session particularly focused on areas such as; asking for consent, underlying need and the potential for change. There will also be a tasty free networking lunch as part of this event from 12:30-1:15 pm so you can meet other colleagues working within the community and develop your local networks. This training session is targeted at frontline practitioners within universal services in Lambeth such as schools and children’s centre staff, youth workers, health visitors and school nurses, so please cascade this invite to interested colleagues. We look forward to see you all on the11th February!